Perfect for beginning artists, The Art of Drawing Optical Illusions will help you create mind-bending optical illusions to fool your brain and tease your senses. 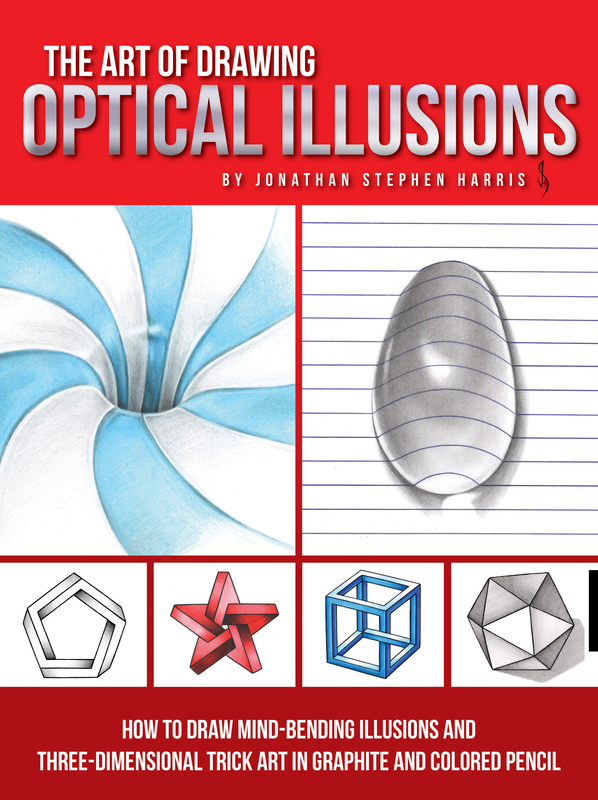 From impossible shapes and Penrose objects to three-dimensional sketches and trick art, you won’t believe your eyes as you learn to draw unbelievable optical illusions in graphite and coloured pencil. 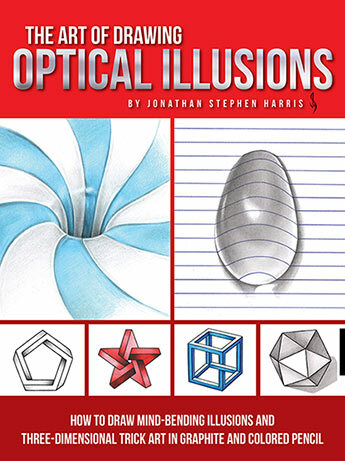 Perfect for beginning artists, it begins with a basic introduction to optical illusions and how they work. Learn to play with perspective and how artists use it to create three-dimensional artwork. The Art of Drawing Optical Illusions then guides you step-by-step in creating mind-blowing pencil drawings, starting with basic optical illusions and progressing to more difficult two-dimensional and three-dimensional trick art that will entice and mesmerise viewers. This guide is a perfect resource for both beginning and established artists interested in developing their drawing skills. Perspective and dimension are difficult to capture, but now you can hone those skills in possibly the most unique way possible, while also exercising your mind with these brain-boosting, won’t-believe-your-eyes tricks! Born and raised in England, Jonathan Stephen Harris started his freelance artist career drawing portraits of people and pets, and then moved on to creating tattoo flash (tattoo designs) for studios all over the world. For 10 years he worked online creating custom tattoo designs. Now he spends most of his time painting and creating fonts and typefaces for both personal and commercial use. He has a successful YouTube channel (www.youtube.com/user/TattooWoo) showing how-to-draw videos and the processes he takes when creating art and designs. Learn more at www.jsharts.com.